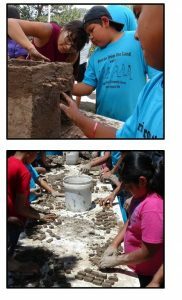 Last month, 8 tribal libraries (Tesuque, Laguna, San Ildefonso,Zia, Jemez, Santa Clara, Ohkay Owingeh and Santo Domingo) visited the Museum of Indian Arts and Culture as part of the Summer Reading Program “Build a Better World.” They learned about traditional Native American architecture, how to make adobe bricks and then using those bricks they built adobe buildings. 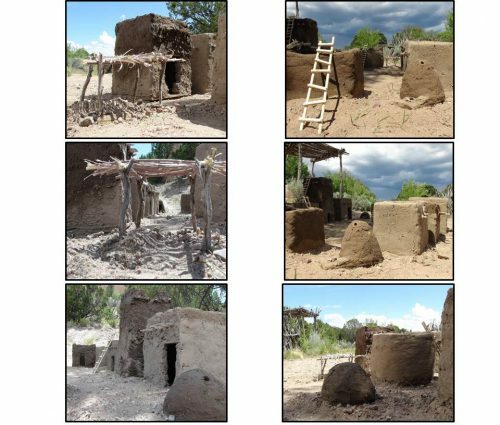 Each day the groups built on what the previous day’s groups had done and by the end of the week they had a complete village! Huge thank you to future architects Brandon Ortiz, Charelle Brown and Daryl Lucero as well as UNM faculty Dr. Ted Jojola and Francisco Uvina for leading the kids all week.